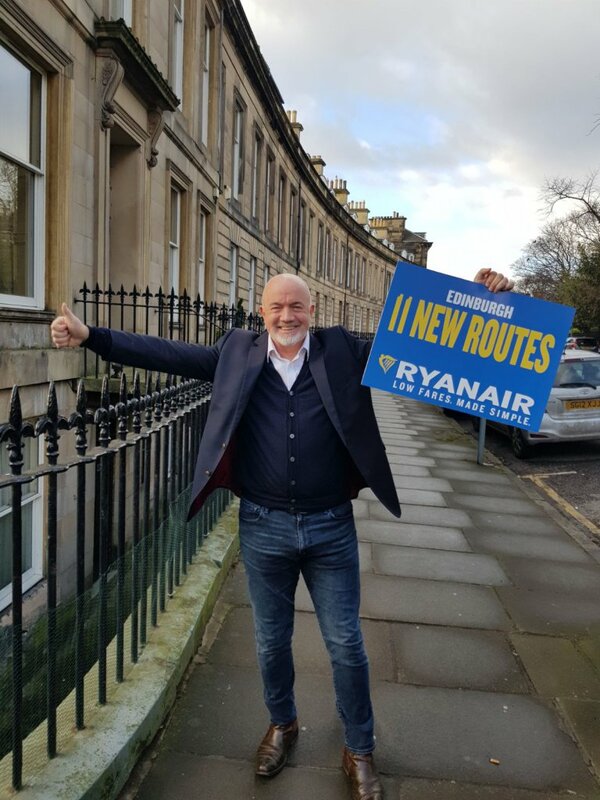 Ryanair, Europe’s No.1 airline, today (27 Feb) announced that it will add 11 new Winter 18 routes to Edinburgh and will close its one aircraft Glasgow International base from November 2018. One aircraft and 5 routes (Derry, Lisbon, Sofia, Riga and Berlin) will switch from Glasgow to Edinburgh Airport. “Ryanair regrets these cuts in the weaker Glasgow market where efforts to stimulate low fare demand are severely hampered by the continuing burden of APD. As a result, we will transfer our Glasgow International based aircraft to Edinburgh in November where we will offer 11 new low fare routes (45 in total including London Stansted) and deliver over 3.5m passengers per annum at Edinburgh Airport. Editor’s Note: Ryanair’s Glasgow International Summer 2018 schedule will operate as planned, which offers a total of 23 routes with low fares to sunshine destinations such as Alicante, Gran Canaria and Malaga.